So, we had our back to school open house. As usual, the school was abuzz with excitement. It’s a treat to be able to meet all of our parents, a treat we really should find a way to do more often. I decided that I would do away with the old fashioned sign in sheet. It seemed to make little sense to have parents fill out a paper sign in sheet when we are a paperless classroom. We wanted to give them an idea of how their kids are expected to work this year, so we did open house in our rooms paperless style. Digital citizenship is an important topic to learn about in today’s digital world. One component of digital citizenship is responsible online sharing. Below are a few questions for students to ask before they share online. A PDF version is available as well. You just posted a picture of yourself online and are having regrets. All that is running through your head is, “What will my Grandma think?! ?” You quickly delete the picture and hope no one viewed or re-posted it. But did you know that with every click or share online you are creating your digital footprint? Your digital footprint contains the information you share online and what websites you visit. Even information you may have deleted can be part of your digital footprint, and has the potential to be retrieved again. In order to avoid those after-post regrets, ask yourself a few questions about what you are sharing before you add to your digital footprint. What are my privacy settings? Will strangers be able to access my posts and personal information? How much personal information am I sharing with strangers, and do I want them to know where I am by tagging my location? This post may be seen by my current and future friends, employers, and family. Is this how I want them to see me? Do I have permission to post someone else’s picture or information? Is what I am about to post based on fact? Is this post based on kindness and respect for everyone? What do you teach your students about responsible online posting and sharing? Please comment below! The use of search engines has made it easy for us all to consume knowledge as they have streamlined the process of finding valid and reliable information online. However, consuming knowledge is only half of the picture. By helping students become authors in the classroom they are learning more about the other part of the process- creating knowledge. An engaging way to do this is by providing students with the opportunity to create and share their own comics online. This active learning experience switches their role from knowledge consumer to knowledge creator while helping them construct their own knowledge. Furthermore, students are learning how to use the 21st century skills of communication, information literacy, and creativity & innovation. Below are a few comic book creators that can be used in the classroom. Make Beliefs Comix is an easy to navigate website that has made the comic creation process simple. Comics are 2-4 panels long and include backgrounds, characters, objects, talk and thought balloons, and panel prompts. One great feature about this comic book creator is the detailed artwork available for use. Editing features for objects in panels include moving, resizing, flipping, layering, and deleting. When comics are completed they can be saved as an image file, printed, or sent by email. Since there is no login for this site comics are not saved and therefore are not accessible once the window is closed. The Make Beliefs Comix website offers various resources to teachers including lesson plans, a list of ways to use the site in the classroom, story ideas, writing prompts, and language options. There are also pages with information about how Make Beliefs Comix may be used in ESOL/Literacy and special needs classrooms. Make Beliefs Comix is available free online and as a free or paid app. Here is a short video tutorial. Pixton provides many customization options to users. Students can add and customize full color characters, down to how the character’s hand is positioned and the expression on the character’s face. Preset background images can be edited by selecting the color and gradient used in the image. Speech bubbles can be a variety of shapes allow layering options and props can be added to panels. When finished comics can be printed, saved as a file, embedded, or shared on the web. Once submitted comics can be graded using a 5 point rating system or a built in rubric. There are opportunities for students to view their classmates comics on the site, with options for providing comments. There are opportunities for self-reflection and peer reviews with the format of the site. Pixton offers lesson plans in a variety of content areas and discusses the implications of using Pixton for second language acquisition. With the teacher accounts students do not need to create a login, and students are added to one of the teacher’s groups or classes. The teacher and school accounts allow comics to be created in a private and secure space. The teacher account is free to try and has a monthly subscription, whereas the school or district account is a one year paid subscription. There is a free account, however, there are many features like privacy and grading options not available on this type of account. Pixton is available online and as an app. Below is a Pixton video overview. ToonDoo offers a nice balance between customization and ease of use. Comics can use horizontal or vertical layouts of 1-4 panels. Characters are mainly cartoons that offer multiple poses per character. Students are also able to create their own characters, editing emotion, physical features, stance, and clothing. These characters can be added to their gallery and comics. There are different text options, as well as a variety of props and backgrounds. Two additional features of this cartoon creator are that uploaded images can be and drawings can be added to comics. Editing features allow students to size, clone, flip, rotate, and layer objects. When comics are completed they can be published on the ToonDoo website for everyone to see, associated with a title, description, and tags. Other options include keeping it private or sharing via email with friends. Much like Pixton, a free version of the website is available to those who register. This version, however does not offer the same privacy and sharing options as the paid version called ToonDoo Spaces which uses a social media network format to feature cartoons. This version only allows students and educators to create and access content, site administrators monitor and manage content, and students do not need to register with an email. A free trial is available for ToonDoo Spaces. 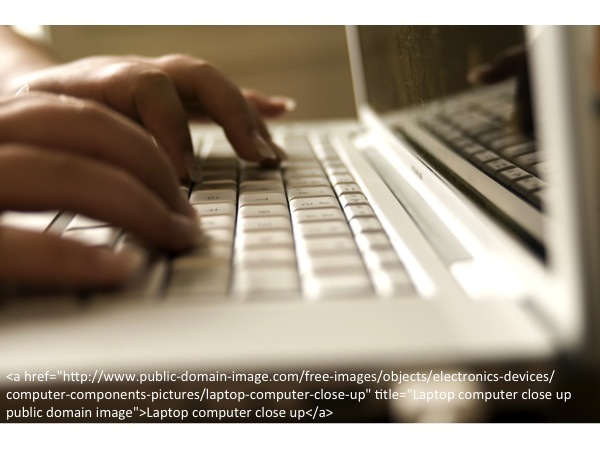 Have you used any of these or other comic creator sites in your classroom? I would love to hear how! Please share as a comment! Drop the pencils and papers, they’re not needed here. Assessment in the classroom is evolving, and there are new and exciting ways to track student understanding using interactive websites and apps. Imagine this- displayed on your student’s computer or tablet is the question you developed to assess their learning. As you look down on your device you are seeing their answers as they are submitted in real-time. This is no longer just something you imagine, because here are the websites to make this a reality in your classroom. Below, I examine 3 online assessment tools that offer a variety of features to teachers and students. Make sure you check out number 3 on the list… it is a HOOT! Nearpod is an interactive presentation website that allows teachers to instruct and assess within the same presentation. Presentations are created or accessed in the Nearpod library, and are viewed by students on their devices in real-time or at their own pace. Slides can include media like videos, images, text, websites, PDF files, and audio as well as interactive features like open ended questions, fill in the blank, multiple choice, and drawing. As the teacher you are not only sharing lesson content with students, but also learning from their submissions via a visual report displays student participation, answers, and reflections.This data helps drive instruction and expose student understanding. Students do not need to create a username to use Nearpod, as they access the quiz by entering the quizzes session code on nearpod.com. Nearpod is also available as an app. Socrative is an online website that allows teachers to create quizzes that include multiple choice, short answer, and true/false format questions as well as exit tickets and polls. There is no need for students to create an account. From their devices, all students have to do is enter the class code to access the current quiz being given by the teacher. Depending on the quiz settings, students answer questions in real-time or student paced and feedback can be provided for each answer. Like Nearpod, student answers are able to be seen by the teacher as they are submitted and a report is available as well. There is no library to use quizzes developed by others, however, you can import quizzes with a code provided by a quiz’s creator. One of my students’ favorite quiz formats is called the “space race”. Students work either alone or in groups to complete the quiz. For every correct answer their space ship advances. The spaceship that moves the furthest in the shortest time “wins”. Since the space ships move with every correct answer, students love to look up at the SmartBoard to see where their spaceship is. LOTS of excitement with this format. On the topic of excitement, this site really nails it. From their devices students are provided with an access code to enter the quiz, and students do not need to create an account. Quizzes include multiple choice questions created by the teacher or from the Kahoot! library. The goal is to be the first person to answer the question on the screen correctly and with each submission students are given points for answering correctly and the speed of their correct submission. After time has elapsed for the question, the correct answer is shown along with the names of the students with the highest point values. While this is being displayed on the SmartBoard, student’s devices show them how many points they need to catch up to the person ahead of them. This way, students who are not displayed as a high scorer don’t know exactly what place they are in and continue to be motivated to reach that next person ahead of them. Student results are available to the teacher as a report that can be downloaded as a file or into Google Drive. Each of these sites offers different features and benefits in regard to assessing students in the classroom. With each there is flexibility in device, as each can be accessed from computers, smartphones, and tablets. What ideas do you have about using these websites and apps in your classroom? Please leave a comment. Every think about how great it would be to access and share all of those great resources you have bookmarked on your computer… from anywhere? Symbaloo is an online website and app that allows users to view, share, and access organized links on one easily accessible page. What makes it different from similar sites is its visual nature that makes it simple to navigate. Using Symbaloo, users can organize important links on a page or “webmix”, which can then be further organized into categories by using color “markers”. Each webmix has its own sharing link and embed code so it can be added to a website. 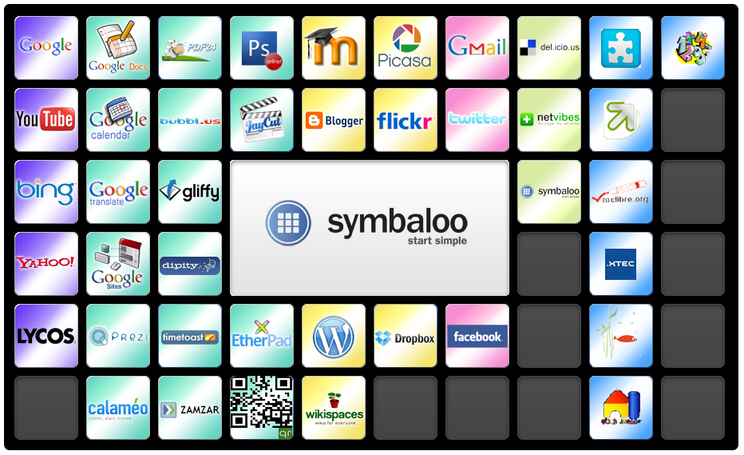 Here is an introduction to Symbaloo. In addition to organizing your websites and links in one place, Symbaloo delivers benefits in the classroom. Symbaloo is a great place to house links to class documents and it provides flexible viewing options (device, time, place). Furthermore, an entire project’s documents are easily included within a marker on a webmix. When completing projects using Symbaloo students are using 21st century skills of information, media, and technology literacy. Symbaloo is a great place to place for students to compile important resources of their own. By creating their own Symbaloo webmixes students are saving important resources for later use and organizing them so that they are easily found, thus practicing executive function skills. A benefit of being part of a professional learning network is the ability to share your knowledge while learning from your peers. Often, a disadvantage is that shared notes and photocopies are easily misplaced and the group may not meet regularly. With Symbaloo teachers are easily able to access many resources from one place and at anytime. Additionally, as new links are added the webmix is automatically updated. Symbaloo provides so many great options in education. One improvement that could be made is ability to add multiple administrators to edit a single webmix. This would allow professional learning communities or student groups to collaborate in adding to the same webmix. Have you used Symbaloo in your classroom? What are some of the ways you have or see yourself using this website? We’d love to hear… share your comment! Who remembers watching “Bill Nye the Science Guy” or “Reading Rainbow” in school? Chances are… most of us do. These videos provided us with something that we were unable to get in the classroom itself- the ability to see some pretty awesome science experiments and have books read to us by celebrities. Experiences like those are what make videos in education so important. They allow us to, even if just briefly, be immersed in another time or place. Now, as a teacher, I am excited about the different video options the internet has afforded us. YouTube has a video for just about anything, and educational video sites like Discovery Education link videos to lesson plans. Additionally, there is a whole new crop of web 2.0 sites that allow us to customize videos and add interactive features. Below I discuss a few of them. eduCanon allows users to edit videos and create interactivity. A user can crop a video, add multiple choice and open ended questions, comments, and set times for reflective pauses. eduCanon is easy to navigate for beginner users with bright colors and an easy to follow design. Videos can be uploaded from websites like YouTube and Teachertube, however, video files cannot be uploaded unless they are first posted to a site like YouTube. Students can view the video with access to the class code (limited number of classes allowed), or the video can be shared to Pinterest, Google +, Twitter, Facebook, emailed, or the link embedded. Users can create an unlimited number of interactive videos and have access to a library of videos. Additional features are available at an annual cost. EDpuzzle, like eduCanon, allows users to edit videos and create interactivity. Users can search for videos directly from the site’s interface where many websites can be accessed including Teachertube, YouTube, and Khan Academy. When creating videos, EDpuzzle takes users through the editing process step by step. EDpuzzle offers similar question formats as eduCanon with the addition of short answer. Student’s answer submissions to questions are easily accessed and can be downloaded. This system allows voice recording and subtitles to be added to the video edits. Users can create an unlimited number of interactive videos with EDpuzzle and also have access to a video library. An unlimited number of students are able to join the teacher’s “class” and those in a class can be assigned videos. Videos can be shared via the link, by email, Facebook, or Twitter. PowToon brings together presentations and animated videos. Users create customized and animated slides that include everything from the animated characters, text effects, backgrounds, and timed transitions. Have an existing video you would like to include? No problem. You can upload videos, images, and audio into your PowToon. When you complete your animated masterpiece you can choose to show it as a slideshow or pre-timed video. Options for sharing include posting it to YouTube or sharing it on Facebook, Google+, and Linkedin. A paid “pro” membership gives you extra templates to choose from and the ability to save your creations as video files. The possibilities for these sites are endless. Teachers can easily use their custom videos in a flipped classroom setting, or can use these sites to have students construct their knowledge as they create. What’s great is that teachers and students have an endless supply of videos to customize, and more are being added everyday. In what ways have you used any of these web 2.0 tools in your classroom? Are there other video websites or apps that you have found successful in the classroom? 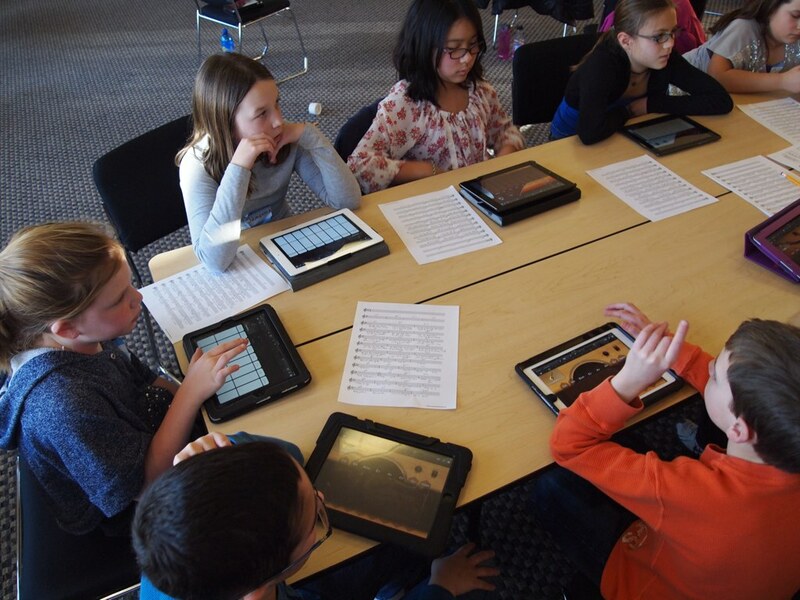 Technology integration is a buzzword in education right now- and has been for a few years. The way we live our lives is changing due to technology, and so is the way we are teaching. 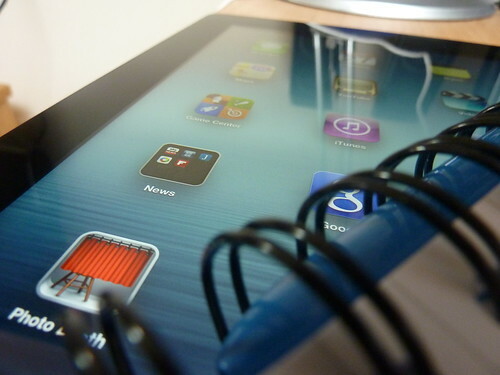 Here are a few benefits of technology use in the classroom. One benefit of using technology in the classroom is that it allows students to construct their own knowledge as they take problem solving into their own hands. Rather than being passive listeners, students are actively using their 21st century skills of accessing, evaluating, and applying information. Whether they are using tablets, computers, or cell phones students are learning to use these tools as consumers and producers of information. An important lifelong skill for many professions today. As educators, we know how individual the learning process can be for students. 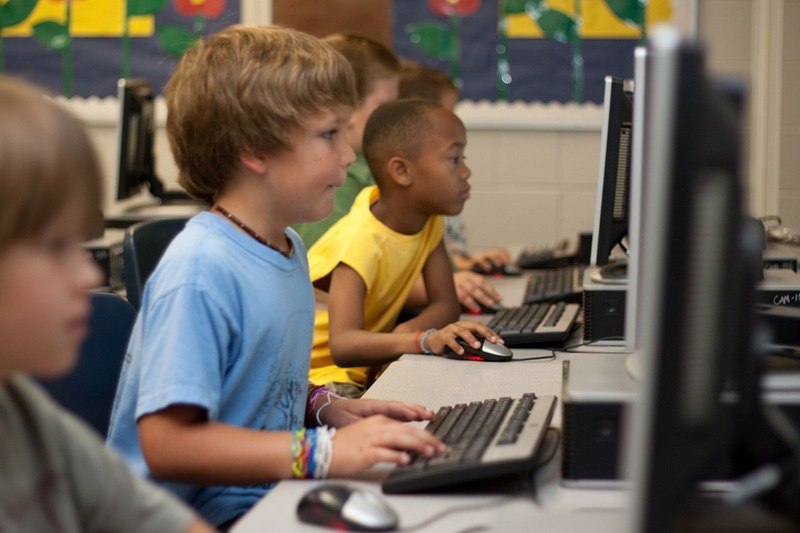 Technology provides students and teachers with more resources and tools to meet diverse needs. Using technology resources in the classroom also helps diverse learners succeed by providing multiple means of representation, expression, and engagement- helping teachers align their lessons with the principles of Universal Design for Learning. As we know, it is important to have strong communication and problem solving skills. There are many technology resources that provide students with the opportunity to learn and share online. Google Drive allows students to work on the same document simultaneously while chatting about ideas and feedback. The website epals.com connects classrooms around the country as they complete research projects together. Collaborative learning websites foster skills that help prepare students for college and career. As we can see there are great benefits to using technology in the classroom. However, it is important to remember that technology is constantly evolving and changing. Thankfully, there are excellent resources available to teachers online including websites like edutopia.org and iste.org that provide information from researchers, teachers, and writers in the field of educational technology. Michelle Reiser is a physical educator and health educator in a 1:1 iPad district. She is currently earning her Master's Degree in Instructional Technology.